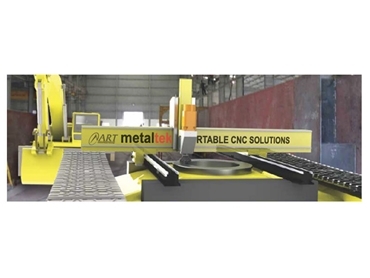 ART offers the metaltek modular multi-function CNC machining system. 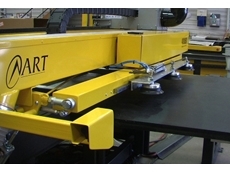 Some workpieces are simply too heavy to be transported to the machine, a very common scenario in industries working with large machinery, such as the mining or oil & gas industries. This new breed of machine is fully portable and is able to provide an unparalleled range of machining functions in the field and workshop. 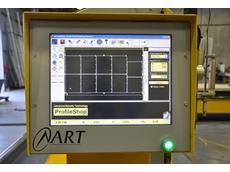 Processes such as face milling, drilling, pocketing, bevelling, thread milling, tapping, plasma and oxy profiling as well as surface mapping (probing) and reverse engineering through digitising are all available with this product range. 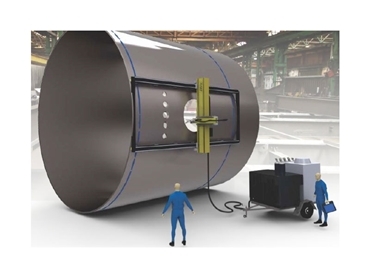 The new metaltek portable 5-axis CNC weld preparation machine is able to process both curved and flat surfaces such as required in pressure vessel manufacturing. 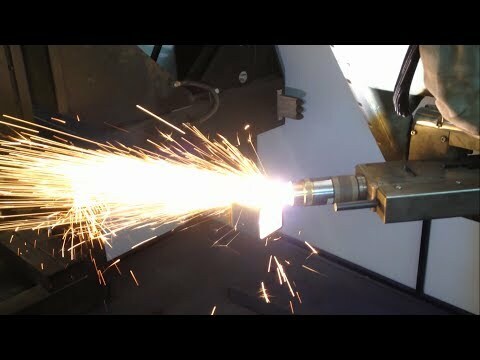 The latest advancements in portable CNC plasma profile cutting gives you faster feeds, higher acceleration and advanced motion control algorithms. 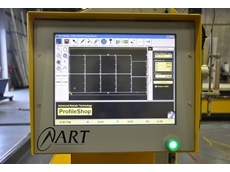 Innovative 5-axis technology provides the ultimate weld preparation profiling machine. Combined with Hypertherm Hyperformance HPR800xd cutting system results in the highest quality plasma profiling available. Cutting out winch floors etc. 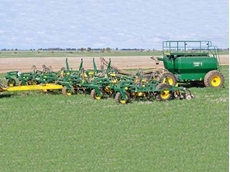 Horizontal, vertical and inverted operation possible! 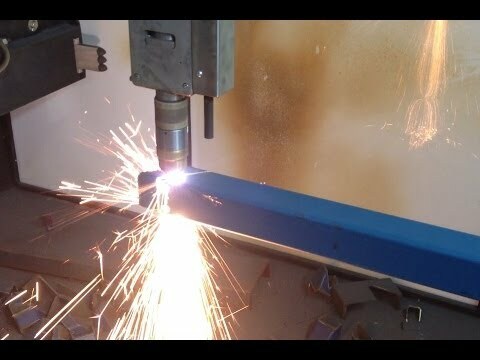 02/09/14 - A high-definition plasma cutter from Advanced Robotic Technology is helping Simplicity Australia to stay ahead in the market. 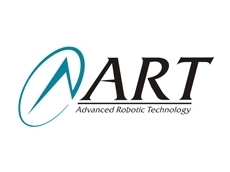 16/10/13 - Advanced Robotic Technology (ART) is offering a new remote access to its new Metaltek modular multi-function CNC machining systems to address operational and financial issues caused by machine breakdowns, especially in mining applications. 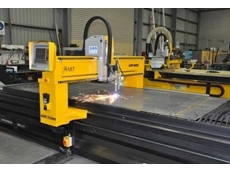 31/05/13 - A plasma cutter from Advanced Robotic Technology has helped a sheetmetal processing company enhance its production levels multi-fold with ROI on the equipment achieved in just six months. 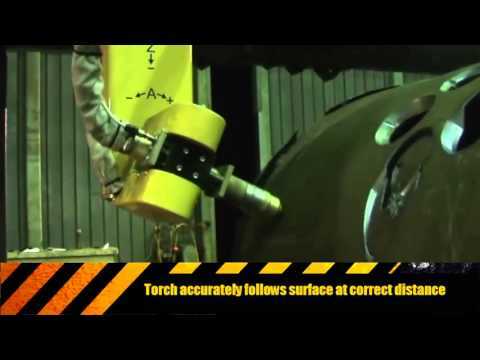 05/03/13 - For mining operators focused on increasing profitability Advanced Robotic Technology's remote access technology can assist in alleviating operational and financial issues. 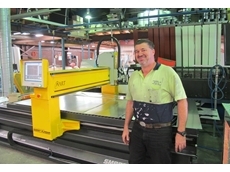 22/10/12 - According to David White, Director of Advanced Robotic Technology (ART), Brisbane, extending a CNC cutting machine with an automated sheet loading system will bring quicker ROI through improved productivity.